Searching for a better way to track inventory? | Taylor Data Systems, Inc.
Searching for a better way to track inventory? Successfully managing inventory is a critical part of business. When it comes to inventory tracking software, it’s difficult to know which one is the right one for your organization with all the options that are available today. The first step is to find a solution provider you can trust, and one that has many years of experience working with small-to-medium sized warehouses or distribution centers just like yours. Choosing a provider that can help you implement the right solution can mean the difference between being overwhelmed & over-budget, or having an on time and on target experience. Ability to integrate with your other software applications, such as e-commerce, financial, shipping, payment processing, etc. Be sure to validate whether the applications you currently have will integrate easily with your inventory software selection. Also, consider their ability to integrate with your existing hardware (if applicable). Real-time visibility. If you are operating multiple warehouses or running several locations, access to data in real-time will boost productivity, lower expenses and drastically improve the forecasting and planning process. Technical Support & Training are key to user success. The implementation process, user training, and initial ramp-up are critical and having proper support will get you off to a good start. You should have confidence that you’ll be guided throughout the process. Ask about ongoing technical support as well; many vendors charge per call or offer packages that can give you more bang for your buck. Data Security. Regularly scheduled back-ups (preferably in the cloud vs. being stored locally) will give you peace of mind that your information will be safe and supported. If your candidates pass these 4 items with flying colors, then it’s time to move on to determining the robustness of their inventory tracking application. This web-based warehouse management software application allows you to track all the inventory transactions associated with operating your warehouse. It allows items to be received into inventory, moved throughout the warehouse, picked from items locations, and then shipped to customers all in a way that will save you time and money. Inventory accuracy begins at the start, and provides added flexibility for organizations that have multiple divisions within a company, multiple sites within divisions, and multiple locations within those sites. What this means is that item location can be narrowed down to company division, site, and specific location at that site. 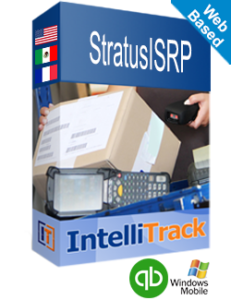 This robustness of this 3-tier model of tracking allows for very accurate inventory records. If you’ve been struggling with physical counts, picking or shipping errors, and are looking at a way to reduce costs in your business, contact us to learn more about this and other solutions that can help increase productivity without compromising accuracy.